Amoriguard A-Gain Topcoat is an Agrément certified decorative paint based on processed wastes. It was developed and formulated over a four year period by Prof Mulalo Doyoyo and Ryan Purchase. Not only is the A-Gain Topcoat low in VOC and other undesirable chemical substances, but most of the traditionally used fillers and extenders have been replaced by waste materials. Responsible paint manufacturers constantly search for new ways to minimise harmful chemicals used in the formulation of their products . By reducing, or removing these harmful substances; VOC’s, APEO, MEG, Glycol, and Formaldehyde, the quest for significantly greener coatings can be achieved. Amoriguard A-Gain Topcoat is an environmentally friendly ultra matt, finely textured coating containing more than 50% recycled materials. Being formulated below critical PVC most of the voids between pigments and fillers are filled with solid binder as opposed to air, resulting in excellent waterproofing ability, while still maintaining some degree of water vapour permeability and allowing some water vapour to escape through the dry film. The A-Gain Topcoat is both alkali resistant and hydrophobic, with water tending to bead and run off the surface as opposed to wetting and darkening the paint film. The Topcoat is Agrément certified (Agrément Certificate 2016/512) which confirms it’s suitability for use and gives some peace of mind to the end user. Amoriguard have entered into an agreement with ISO Accredited paint manufacturer, Dekro Paints, where Dekro will manufacture, market and distribute their products. 339001 > A-GAIN Topcoat – An Agrément Certified Ultra Matt Topcoat. 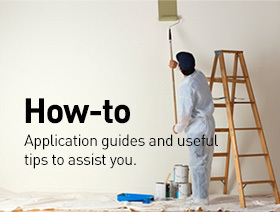 339002 > A-GAIN Waterbased AR Primer – A matt primer with superior alkali resistance. 339003 > A-GAIN WB Plaster Primer – A economical water based plaster primer with moderate alkali resistance. 339004 > A-GAIN Exterior Filler – is a grey powdered filler based on grey cement, waste materials and other fillers. Amoriguard is committed to conserving our Environment by developing and marketing Decorative Paint Coatings and Systems that are both sustainable and eco-friendly. 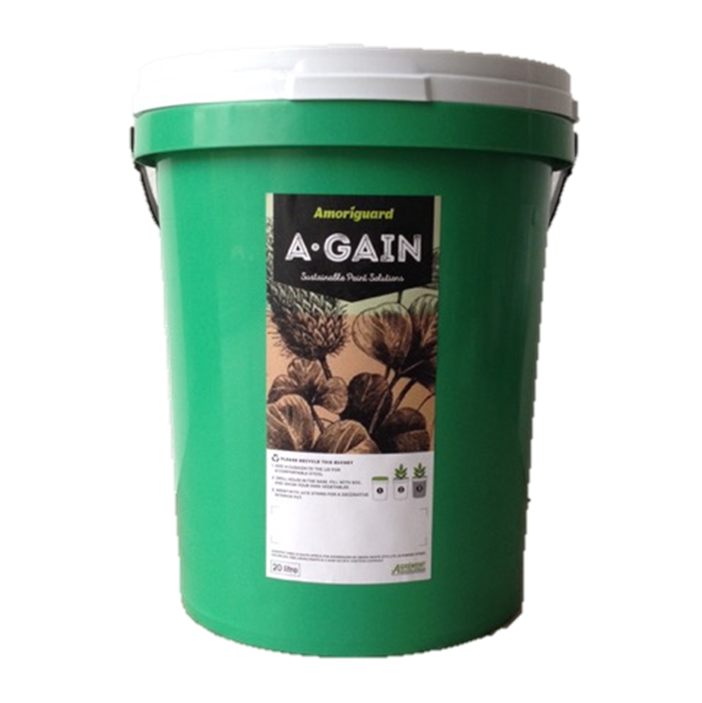 Staying with the recycled concept and reusing as much as possible A-GAIN their products will be packed into buckets made from 100% recycled plastic and their clients will be encouraged to recycle these buckets once emptied, or to return them to the factory for recycling.